It’s episode two, so grab a bottle and play this drinking game with us! And then get ready: there is a Mills and Boon date!!! We have met our cast of heroes and douchebags and we are all totally in love with our new heroine Georgia Love. So let’s take our first steps down this journey (drink) to romance with her, as she finds chemistry (drink) and connections (drink) with dudes that are hopefully here for the right reasons (drink, drink, drink)! It’s time to establish our routine. Date cards, pulled from mysterious hiding places known only to Osher! Single dates! Group dates! Jealousy! Competition! Egos! The first single date goes to Jake, who apparently Georgia Love reeeeeally liiiiiiiked last night but I honestly don’t remember much about except that he looked vaguely like Taylor Lautner. (Where is Taylor Lautner these days anyway? He disappeared into the ether as soon as Twilight [ Amz | iT ] was done.) All the other dudes do a spot of backslapping and declare him a ‘good lad’ while seething on the inside. And on the outside, in the case of Sam the villain. This date is one of Bachie’s patented ‘hang out in the high place’ dates. Georgia Love and Jake go to the Blue Mountains and board a cable car — the same one on top of which inaugural Bachie couple Tim and Anna had their first date, I believe. But unlike Tim and Anna, they’re not hanging out on top of it; rather, they’re rappelling out of it. I understand why Bachie is so fascinated with high places and flinging people off things. I do. Symbolically, it makes a lot of sense. It’s the ‘leap of faith’ notion: that love is an uncontrollable journey into the unknown. We talk about ‘falling’ in love, and there’s certainly no turning back once you jump off the high place: you can’t control a fall. So I get all this, but in real, practical terms? I feel like all these suspended-in-mid-air dates are not that romantic. Sure, you might become bonded by the adrenaline rush, but can you really discover much meaningful about someone when you’re busy rappelling a hundred metres down to the forest floor? And yeah, it lets you show your ‘adventurous side’ — which is 100% a requirement for love on Bachie — but does it really do much more than provide an unusual memory in future? It also suggests that love must be thrilling EVERY SINGLE SECOND to be real, and I’m not really that into that idea. 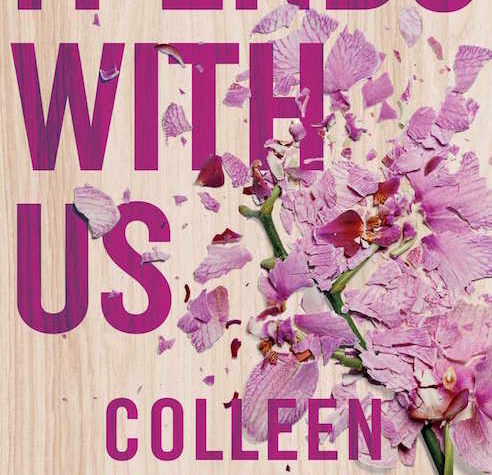 I mean, we all know that I’m a huge nerd — holding hands with someone across a desk while both studying is, like, an intensely romantic image to me — but I feel like I’m not alone. There’s romance to be found in the small moments, the ordinary ones. There’s a reason that the most remembered romantic moment from last season of The Bachelorette wasn’t Sam Frost making all those dudes jump off that cliff for her: it was Sasha telling her that he listened to everything she said. So bring me the Bachie that’s like, ‘Pfft, adrenaline? None of that.’ Find me the way to shoot those quiet moments that makes them fascinating. That I’ll be there for. After the rappelling, Jake and Georgia Love do manage to have a nice conversation over wine and cheese, so it’s not like there’s NO intimate moments. She confesses that her mother has been diagnosed with cancer and it’s made her feel renewed urgency re: finding love. He confesses that his mother has also suffered cancer, so he knows how she feels. They kiss, she gives him a rose, and it’s nice. But we still do get some of that pernicious rhetoric I mentioned yesterday sneaking back in. In The Bachelor, the Bachie is typically looking for someone to complete his otherwise-full life. 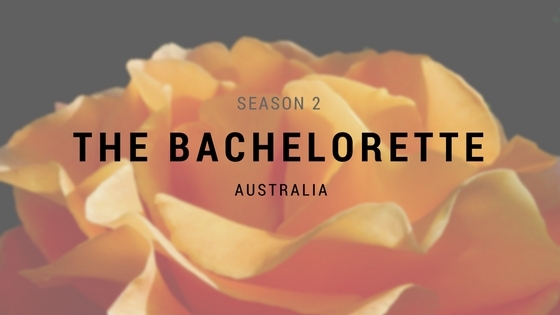 In The Bachelorette, the Bachie is instead setting aside her life to put love above all — to make love her life. Whether or not this is what Georgia Love is doing in reality is one thing, but it’s absolutely the way her narrative is being framed: she’s set aside her career to throw herself wholeheartedly into the pursuit of love. It has become the whole of her life, not a part of it. I could make a lot more points about how this is linked to the way women disproportionately do emotional labour, but that would be a huge bummer. And I don’t want to be a huge bummer, because you guys, there is a Mills & Boon group date! Honestly, this is the most exciting thing. I didn’t think anything could top the first group date from last year’s season of The Bachelorette (the much-beloved ‘shirtless men with puppies’ photo shoot date), but this is definitely up there. Between them, the men on the group date shoot four Harlequin covers: three with multiple men + Georgia Love, and one one-on-one one featuring Cameron. These are RuRo themed covers, and — as I have since found out — are going on anthologies of works by well-known Australian Harlequin Mills & Boon authors Michelle Douglas, Emma Darcy, Barbara Hannay, and Marion Lennox. This is very awesome … even though I was kind of hoping that the fact that there are multiple men to only one lady on most of these covers meant that HMB were laying the groundwork for something a bit unusual for them, wink wink. The big story coming out of this group date is the rivalry between Rhys and Sam, who both have modelling experience. They’re basically the Derek Zoolander and Hansel of this photo shoot (and so of course they’re on the same cover). However, their rivalry is curiously one-sided. Rhys doesn’t seem to know what’s going on: he’s just happy he gets to take his shirt off, and asks the makeup artist to please contour his abs. Sam, on the other hand, is all UGH THAT RHYS HE THINKS HE’S SO GOOD BUT I AM SO MUCH BETTER AT MODELLING THAN HE IS UGH UGH UGH HE IS THE WORST YOU GUYS DON’T YOU THINK THAT HE IS THE WORST? Rhys and Sam get put on the same cover. Rhys is in the foreground pouring a bucket of water over himself while Sam is lurking sinisterly with an axe in the back. Oh, Bachie, you bring us such quality content sometimes. And then everyone watches on pouting as Cameron and Georgia very nearly almost kiss during their one-on-one shoot. Although ‘very nearly almost kiss’ is not the phrase they use… That would be ‘macking on in a hay bale’, bless them. At the pre-elimination cocktail party, Sam is still trying to convince everyone that UGH RHYS IS THE WORST, but Rhys, bless his oblivious little heart, doesn’t even notice. He’s too busy trying to catch Georgia Love so he can read her a poem he wrote her. This poem is everything you imagine and more. I can’t even begin to represent its glory. This is a moment that you need to experience for yourselves. Suffice it to say this poem is absolutely going on my next syllabus. I don’t care what the course is. Rhys’s poem will be studied. And perpetuated. It’s going straight into the goddamn literary canon. Georgia Love — who is only growing in my estimation — handles the situation with perfect grace. She does not laugh directly at Rhys, but tells him how genuinely touched and appreciative of his hard work she is. Then she asks if she can keep the poem. And we all know she’s going to frame it and laugh and laugh and laugh and think fondly of Rhys as she and Lee/Clancy/Cameron/Courtney live out their very attractive lives together. Then it is time for the rose ceremony. Georgia Love has a great sense of who she needs to keep for the entertainment of the audience (and, let’s be real, herself) and who it is time to let go. Tonight’s casualty is Ben, aka the awkward ‘nervous poo’ guy who hailed from my hometown. Farewell, Ben. I feel that, as an ambassador for the Gong, you were an accurate one. See you again next week as we check back in with Georgia Love and her harem of handsome men and entrepreneurs slash models and not the other way around! This is already a way more fun ride than the meandering beige dullness of Richie’s season of Bachie, and I am psyched.